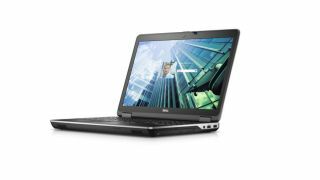 Dell is launching a new business laptop it claims is the most secure on the market. With enough security features to give Fort Knox a run for its money, the Latitude E6540 offers government agency-level data encryption, authentication and malware protection courtesy of a FIPS 201-certified smart card, fingerprint readers and RSA SecurID. Already the stuff of Tom Clancy novels, the E6540 goes further by adding a FIPS 140-2 certified Trusted Platform Module (TPM) to securely store users' credentials on a separate chip, rather than a hard drive, which is controlled using Dell's ControlVault software. Other security tools onboard include Dell Protected Workspace, Dell Data Protection, and Dell Security Tools. Additionally, Dell is building management capabilities into the model that enables users to remotely manage and update it using Intel's vPro technology, which allows BIOS management and hard drives to be remotely wiped when offline. The new Latitude is set to feature an LED-backlit 15.6-inch display with the choice of a 1920x1080 or 1366x768 pixel-resolution. Under the hood, it packs Intel's 4th-Gen "Haswell" CPU, giving customers a choice between Core i7-4800MQ or Core i7-4900MQ configurations. Graphics wise, it houses Intel's Integrated HD Graphics 4600 by default, which can be upgraded to discrete graphics with 2GB memory from an unspecified manufacturer. Businesses can also opt for a docking station that can pair with a keyboard and mouse and allows users to add a second monitor. Other connectivity features are present in the form of Bluetooth 4.0, 10/100/1000 Gigabit Ethernet, and 802.11g/n wireless. Availability has been slated for the coming weeks, but no word on pricing yet.